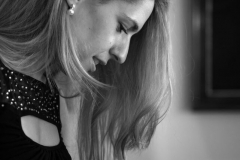 As a soloist and chamber musician, Katia has performed in Switzerland, France, Germany, Holland, Belgium, Austria and Spain. 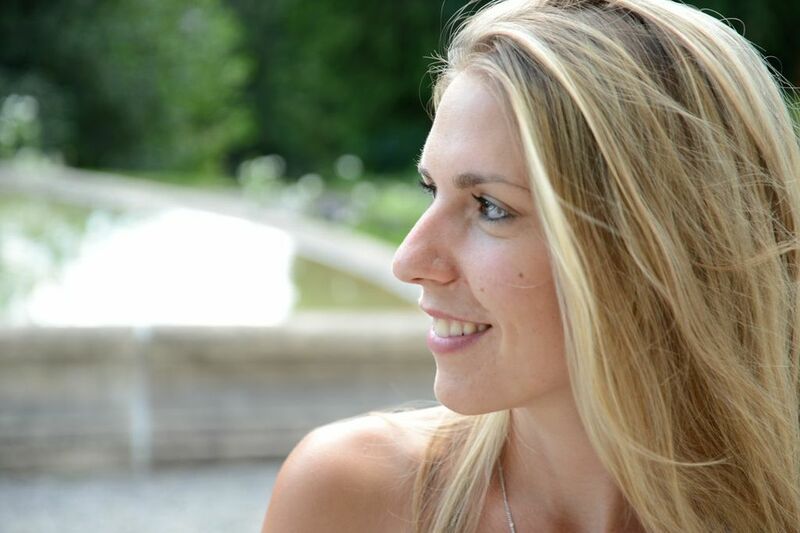 Katia was born in Geneva, daughter of a Swiss father and a French mother. 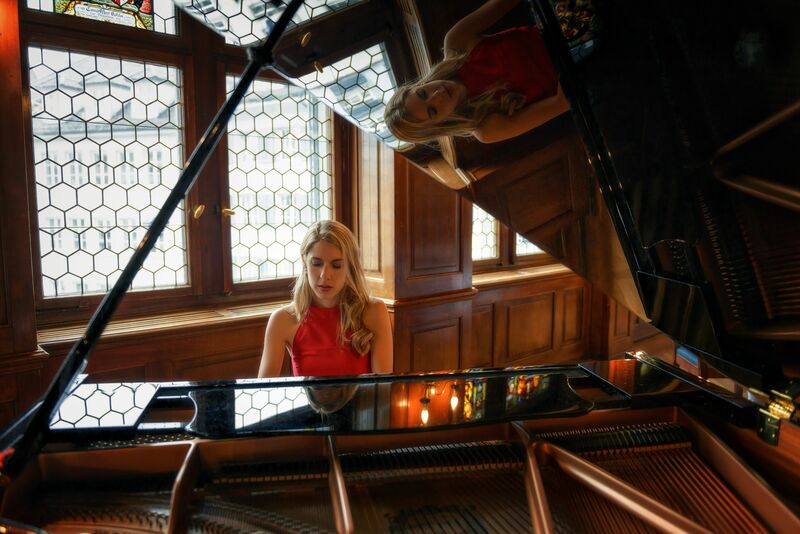 She received her first piano lesson at the age of 6 and three years later was accepted into the music conservatory of Geneva where she pursued her music studies in piano and violin. At the age of 15, Katia was accepted into a “Pre-Professional Section of Piano” in Geneva. 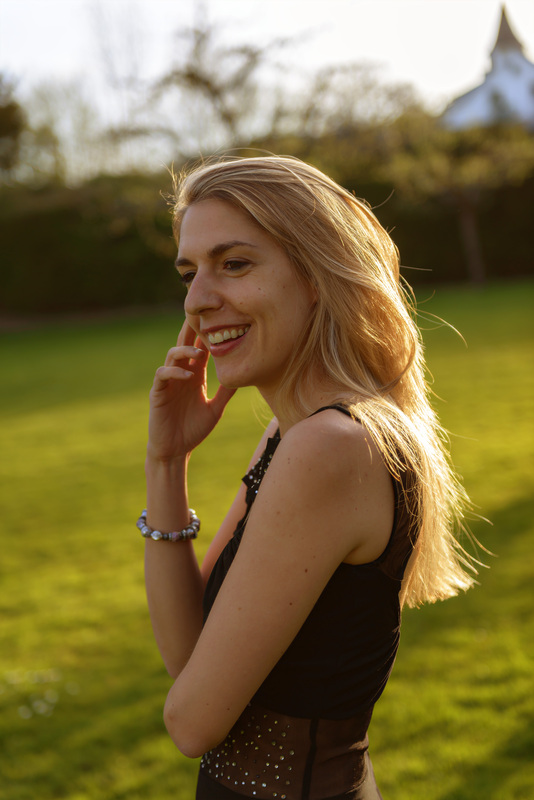 After her graduation in 2003 where she was awarded a prize for best composition, she decided to relocate to Holland to study with American pianist Alan Weiss (laureate of the Queen Elizabeth Competition). 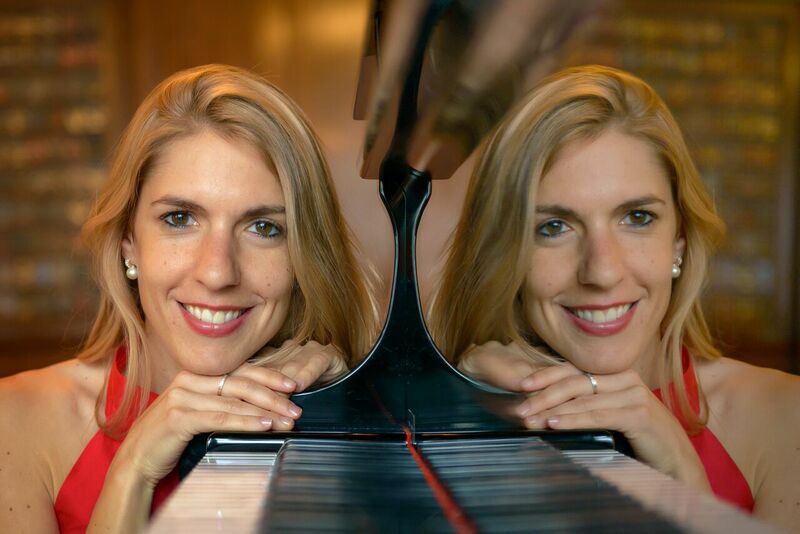 In 2007 Katia decided to come back to Switzerland (Zurich) to study with the German pianist Eckart Heiligers, member of the Jean-Paul Trio. 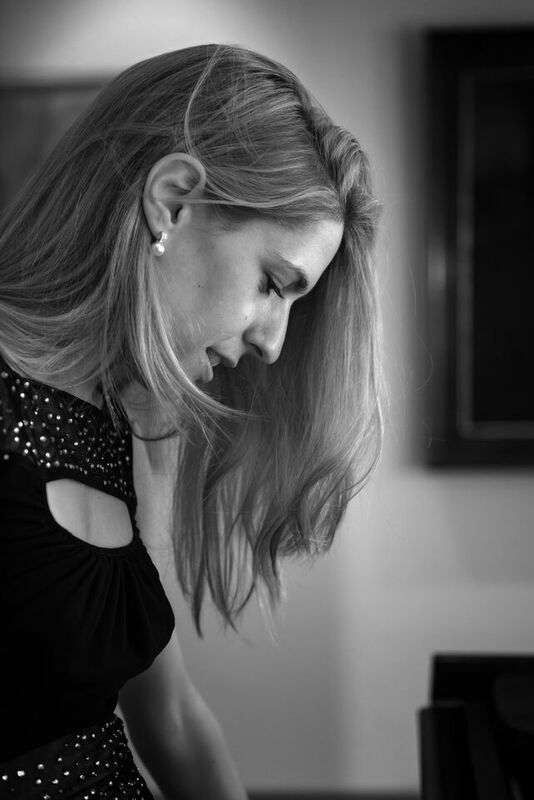 Katia has participated in many piano master classes, held by such musicians as Gyorgy Sandor, Jeremy Menuhin, Maria Jao Pires, Alexis Golovine, Tomasz Herbut, Bruno Canino, Pierre Amoyal, Sylviane Deferne, Igor Blagodatov, Martha Argerich and Robert Greenhouse (cellist from “Beaux-Art trio”). 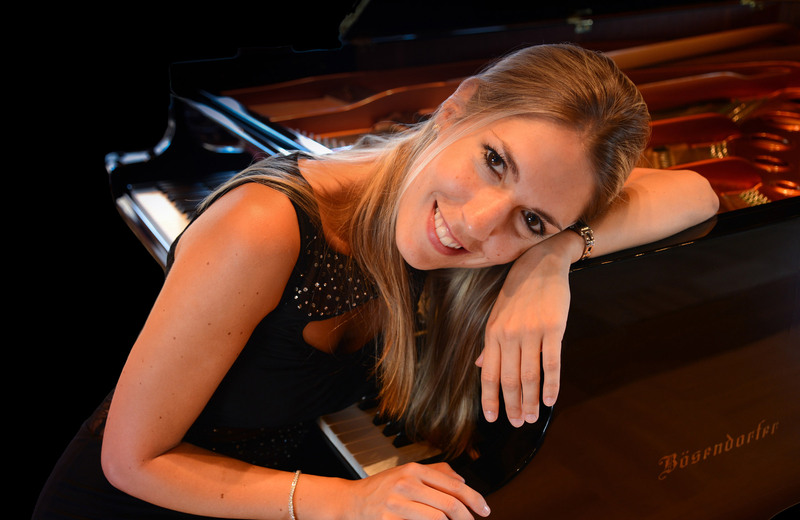 She received a grant to study with Menahem Pressler, Anton Kuerti and André Laplante in Toronto, Canada. 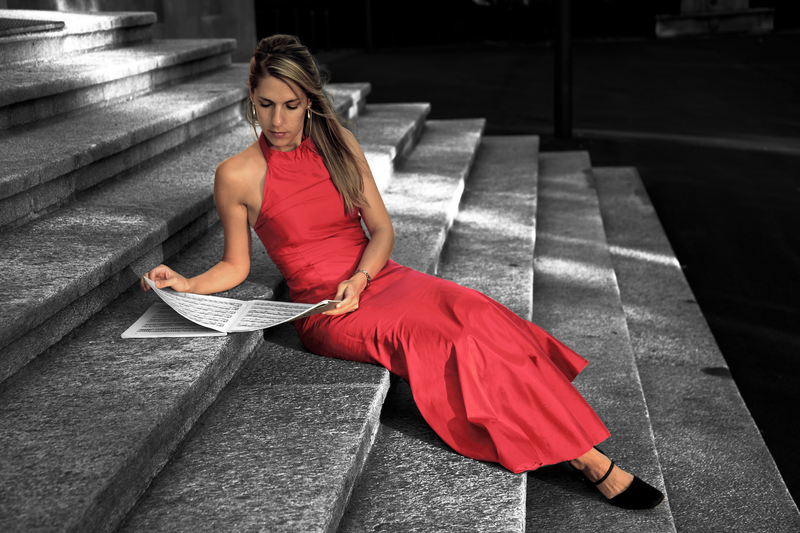 (2007) Katia has peformed in several prestigious venues, including the Zurich Tonhalle, the “Bösendorfer Hall” in Vienna and the Centre of Music in Utrecht. Katia performed on the Queen Mary II in January 2013. 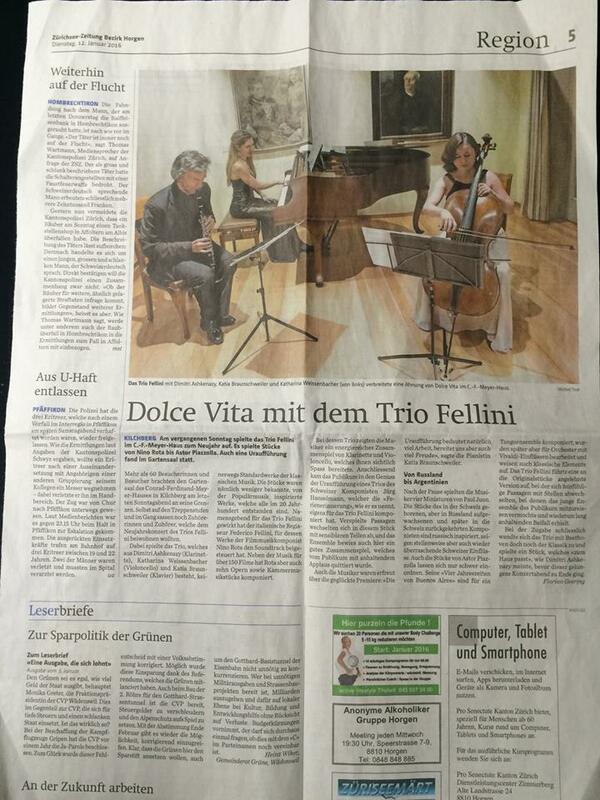 She is a member of the Trio Fellini ( Dimitri Ashkenazy: clarinet, Katharina Weissenbacher: cello) since 2013. 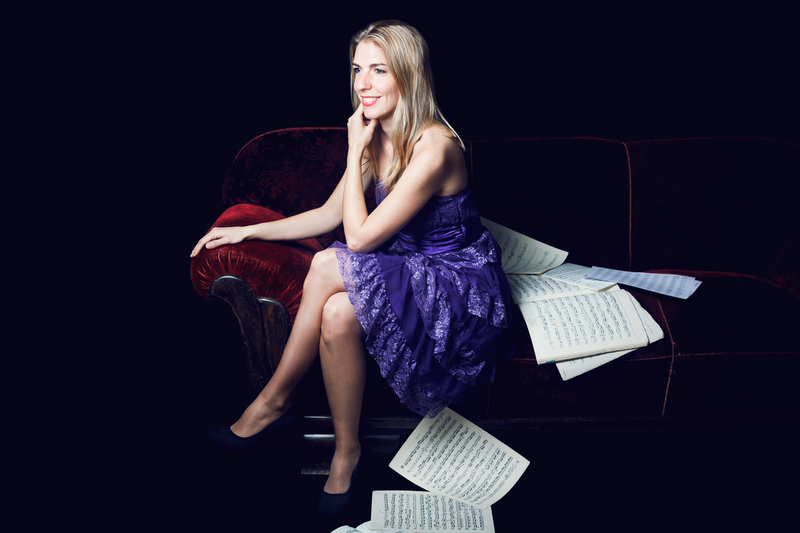 She has been collaborating with the composer Daniel Schnyder and Jürg Hanselmann. 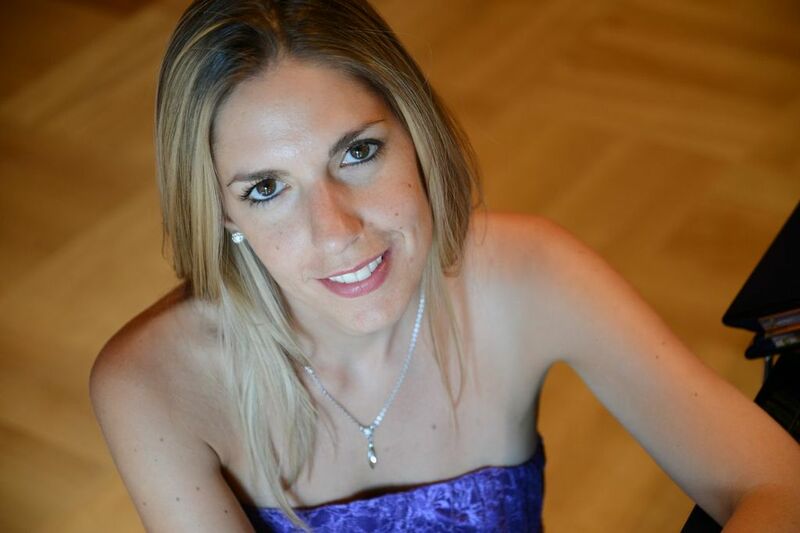 She has many groups with whom she works regularly as with singers, with violinists, with cellists and in a 4 hands duo. 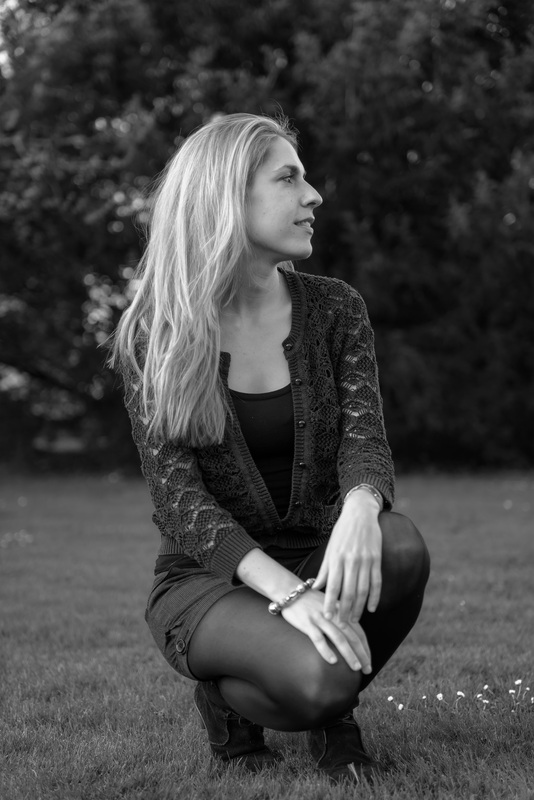 Katia has been teaching in the school “Jugendmusikschule Winterthur” from 2011 till 2017. In Genf geboren, begann Katia Braunschweiler schon im Alter von sechs Jahren mit dem Klavierspiel. Bereits mit neun Jahren erfolgte die Aufnahme ins Genfer Konservatorium. Nach Abschluss der Matura im Jahr 2003 wurde sie im selben Jahr in der Klasse von Alan Weiss in den Niederlanden aufgenommen. Danach folgte eine weitere Ausbildung an der Zürcher Hochschule der Künste bei Professor Eckart Heiligers. 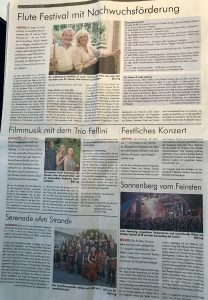 Im Rahmen ihrer Weiterbildung besuchte Katia Braunschweiler eine grosse Anzahl von Kursen bei renommierten Musikern wie Gyorgy Sandor, Maria Jao Pires, Jeremy Menuhin, Sylviane Deferne, Alexis Golovine, Igor Bagolatov, Anton Kuerti, Andre Laplante, Bernard Greenhouse, Menahem Pressler, Bruno Canino und Pierre Amoyal. Ihr aussergewöhnliches Talent manifestiert sich auch in zahlreichen Auszeichnungen. Im Mai 2009 gewann sie den 2. 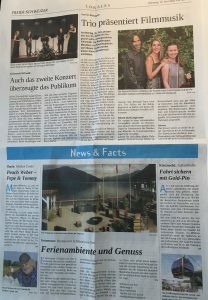 Preis der Studienstiftung “Duttweiler-Hug” und 2010 den ersten Preis des Landolt Wettbwewerbs in Zürich. Im Juli 2010 erhielt sie ein Stipendium von der Dienemann Stiftung. 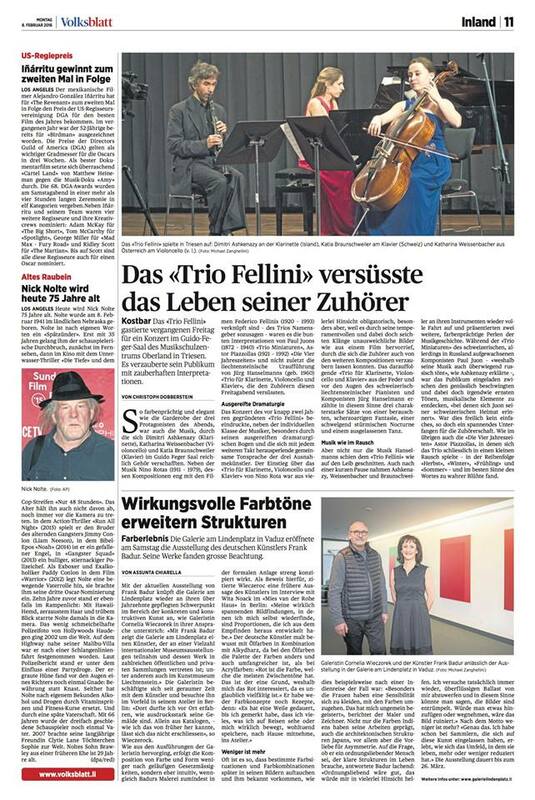 2011 gewann sie den Wettbewerb „Live Music Now“ der Stiftung von Yehudi Menuhin. Ihre umfangreiche Konzerttätigkeit führte Katia Braunschweiler in die Schweiz, nach Frankreich sowie Deutschland, die Niederlande, Belgien, Spanien und Österreich. 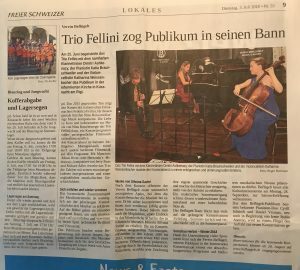 Ihre zahlreichen, sehr erfolgreichen Rezitale fanden in bedeutenden Musikhäusern wie dem Musikzentrum Vredenburg Utrecht, der Tonhalle Zürich und im Bösendorfersaal Wien statt. 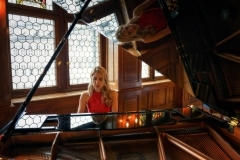 Sie wurde im Januar 2013 auf eines der grössten Kreuzfahrtschiffe der Welt, der Queen Mary 2, als Pianistin eingeladen. 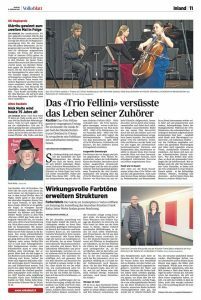 Sie spielt im Trio Fellini ( Dimitri Ashkenazy: Klarinette, Katharina Weissenbacher: Cello) seit 2013 und arbeitete mit den Komponisten Daniel Schnyder und Jürg Hanselmann. 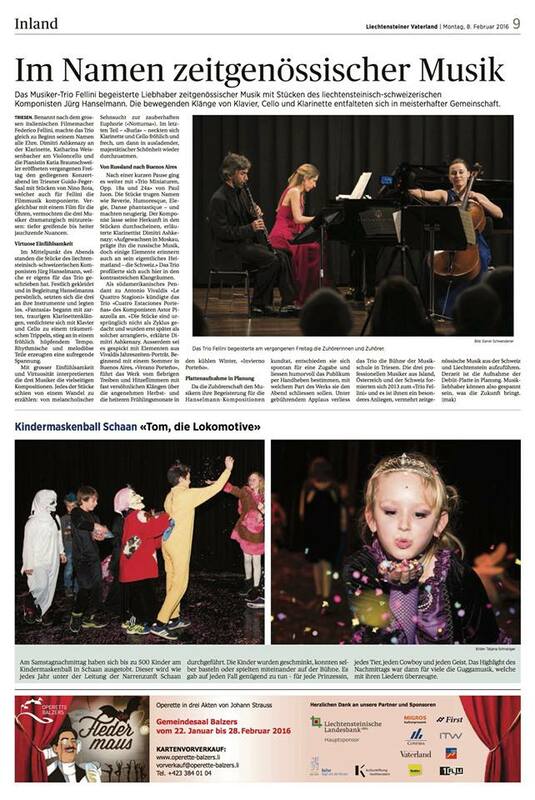 Katia Braunschweiler hat an der „Jugendmusikschule Winterthur“ vom 2011 bis 2017 unterrichtet. 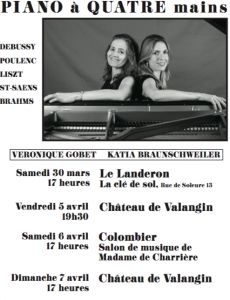 A la fois soliste et musicienne de chambre, Katia Braunschweiler donne des concerts en Suisse, France, Allemagne, Hollande, Belgique, Autriche , Espagne et Canada. Née à Genève, de père suisse et de mère française elle commence le piano à l’âge de six ans et intègre trois ans plus tard le Conservatoire de Genève, où elle étudie également le violon. 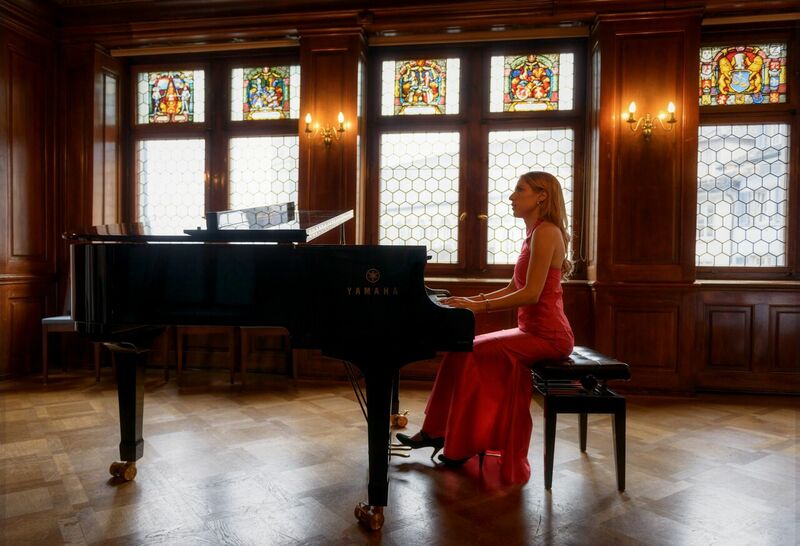 Après sa Maturité suisse et le prix de musique de son Collège, elle choisit la Hollande pour parachever ses études pianistiques. 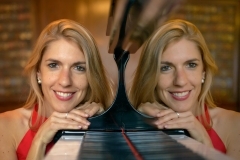 Elle entre en 2003 dans la classe du pianiste américain Alan Weiss à Utrecht, où elle obtient son “Bachelor of music” avec honneur et, en 2006, son “Master of solo performance” avec honneur également. Mai 2009 : « Konzertdiplom » avec les félicitations du jury à Zurich, puis « Lehrdiplom » en 2011 dans la classe d’Eckart Heiligers. Katia participe à de nombreux masterclasses, notamment avec Gyorgy Sandor, Maria Jao Pires, Jeremy Menuhin, Sylviane Deferne, Alexis Golovine, Igor Blagodatov, Bernhard Greenhouse, Pierre Amoyal, Bruno Canino. 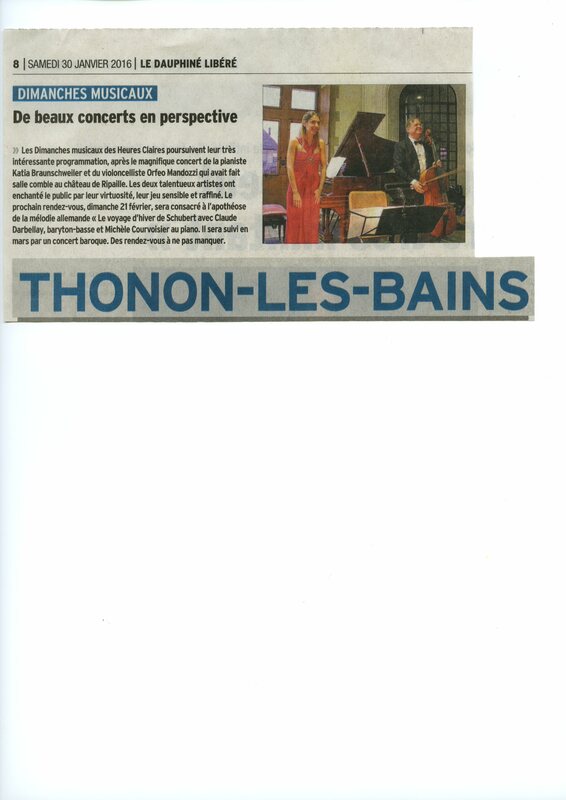 En 2007, elle obtient une bourse pour participer au Festival de Toronto avec Menahem Pressler (pianiste du Beaux-Arts Trio), André Laplante et Anton Kuerti. 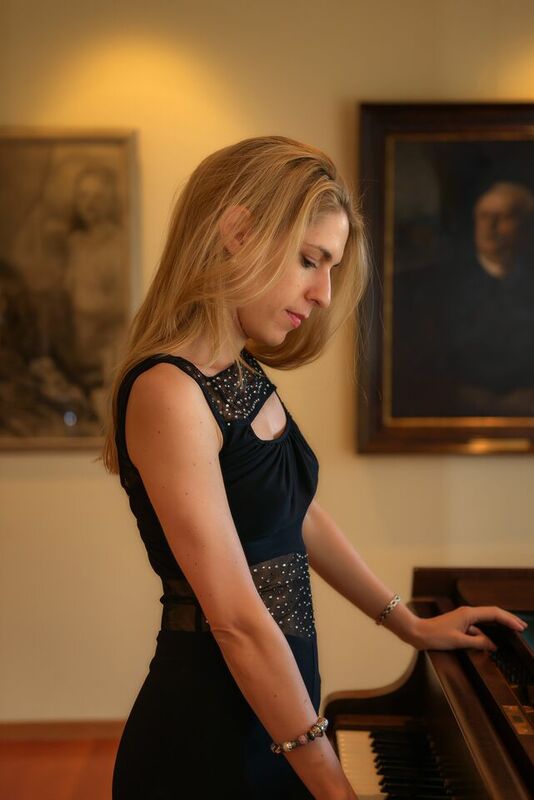 Elle remporte en Suisse le 2e prix de la fondation Dutweiller-Hug à Zurich en 2009, le 1er prix Schumann de la compétition Landolt à Zurich en juin 2010, le prix de la fondation Dienemann à Lucerne pour pianistes suisses en juillet 2010, ainsi que le prix de la fondation Yehudi Menuhin « Live Music Now » à Zurich en 2011. Katia est la pianiste du Trio Fellini ( Dimitri Ashkenazy: clarinette, Katharina Weissenbacher: violoncelle) depuis 2013. 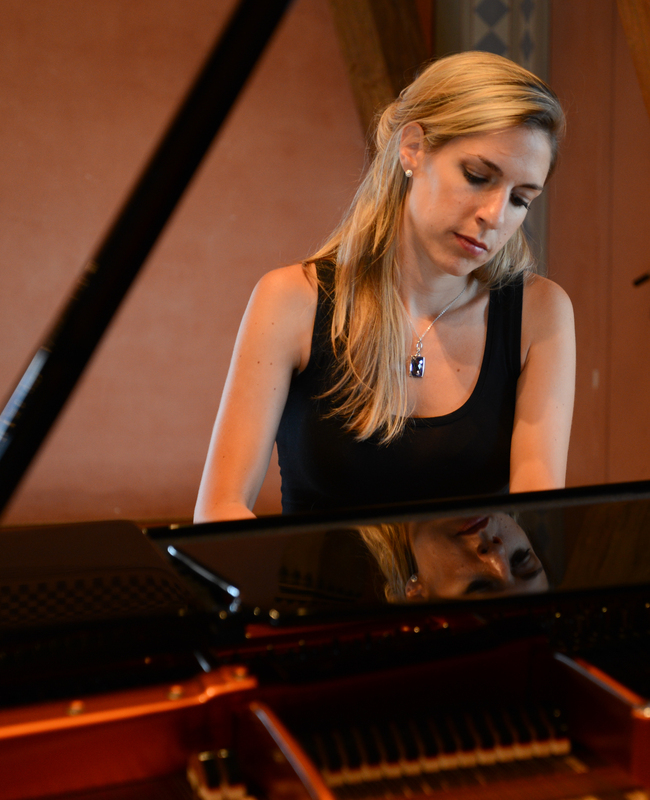 Elle a travaillé en étroite collaboration avec les compositeurs Daniel Schnyder et Jürg Hanselmann. Katia travaille avec plusieurs formations: des violonistes, des violoncellistes, des chanteurs et en duo en 4 mains. 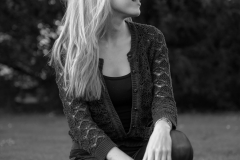 Katia a enseigné à l’école de musique de Winterthur de 2011 à 2017. 13th of June, 8 p.m. I feel it is very important to have a feedback from our students before i express my passion about teaching. Here i asked my students whom i taught between 2011 and 2017 in Winterthur. “It is with great pleasure that I write this letter of recommendation on behalf of Katia Braunschweiler. I have known Katia for about three years. 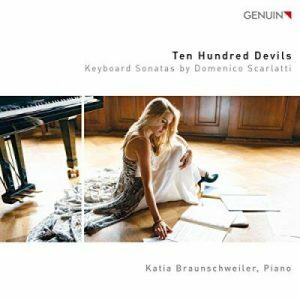 My son started his piano lessons as a complete beginner with Katia. The progress that he made was certainly down to Katia, who continued to motivate him with her happy, enthusiastic and very bubbly attitude. 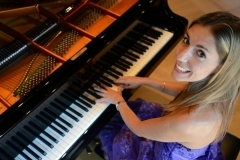 She would adapt the music and lessons to his current skill level while at the same time providing challenges to keep the learning process going. Not only did my son grow as a piano player but he also gained more confidence in himself. 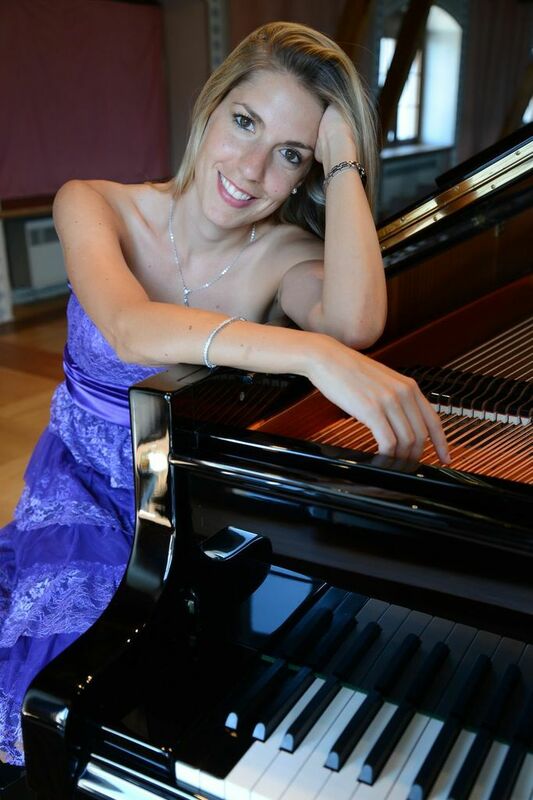 Katia was very proud of each and every student as was evident during piano recitals. Each student, regardless of their level of knowledge, performed a piano piece. Katia would sometimes play 4 handed to make the most of even the simplest of the children’s pieces, which made the students confident, excited and enthusiastic.